Who has the best pizza in OC? How about the best French food? 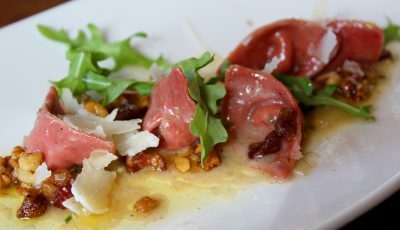 Awards in those and 20 other categories will be presented to restaurants throughout the county at the fifth annual Golden Foodie Awards, to be held this fall at the Fairmont Newport Beach. Nominations start next week. The public is welcome to go to the Golden Foodie website at GoldenFoodieAwards.com and nominate favorite restaurants in a variety of categories. There will be three weeks of voting, with seven to eight different categories each week. Week one has eight categories. Naturally, we have suggestions on who to nominate. Best American Cuisine: After our visit to Social this week, they get our vote in this category. 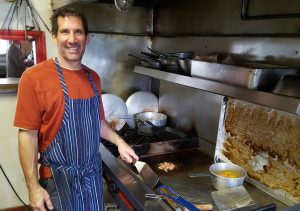 Wild card–Kevin Cahalan, former owner and chef at The Sliding Door Cafe, who moved his culinary talents and menu to an unlikely spot: Knucklehead’s Sports Bar in San Clemente. Best dive bar food in OC! Best Mexican Food: We love what Chef Deb Schneider is doing at SOL Cocina, and of course who doesn’t like El Ranchito, which celebrates its 50th anniversary this year and has locations in Corona del Mar and Balboa Peninsula. But Catherine is still raving about Cha Cha’s Latin Kitchen, which is more than worth a drive to Brea to dine at this bustling restaurant. Best Vegetarian Food: Our first thought was True Food Kitchen in Fashion Island, which satisfies everyone from vegetarians to vegans, but we also rave about Gratitude (and their coconut bacon), which opened earlier this year on Westcliff Drive. Best Pizza: Catherine can eat pizza every day (and usually does). 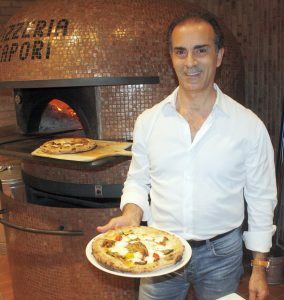 Her two favorites: Sapori, and Pirozzi, both in Newport. 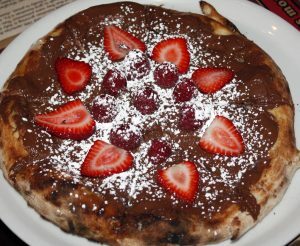 “Sapori has the imported oven from Napoli, and they have the Nutella pizza,” said Catherine. “And anything Pirozzi does is amazing.” Christopher adds Sgt. Pepperoni’s Pizza to his short list of preferred pizza vendors. 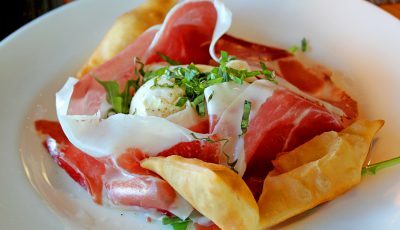 Best Italian Food: Again, Sapori and Pirozzi get our vote, but Christopher is also a fan of Il Barone. 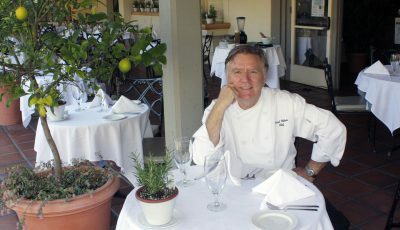 Best French Cuisine: Chef Pascal Olhats can do no wrong in our book, and his immense popularity (Café Jardin, Pascal’s, and his regular appearances at Manassero Farms) backs up that claim. But it’s hard to find a more authentic French experience than Moulin. From the French music to the décor to the cuisine, Moulin is a slice of France in Newport Beach. Best Indian Cuisine: We thoroughly enjoyed dinning at Royal Khyber in South Coast Village earlier this year. They are celebrating 30 years in business—an amazing feat in OC’s competitive culinary landscape.